In World War I, the Germans had developed long-range artillery and bombarded Paris from the German lines; because of this, the Treaty of Versailles forbade future German development of heavy artillery. The treaty, however, said nothing about rockets. During World War II, German rocketeers under the technical developed "V" weapons. The "V" was short for "Vergeltungswaffen", roughly translated "vengenace weapons". The first Crossbow target hit was Peenemunde. 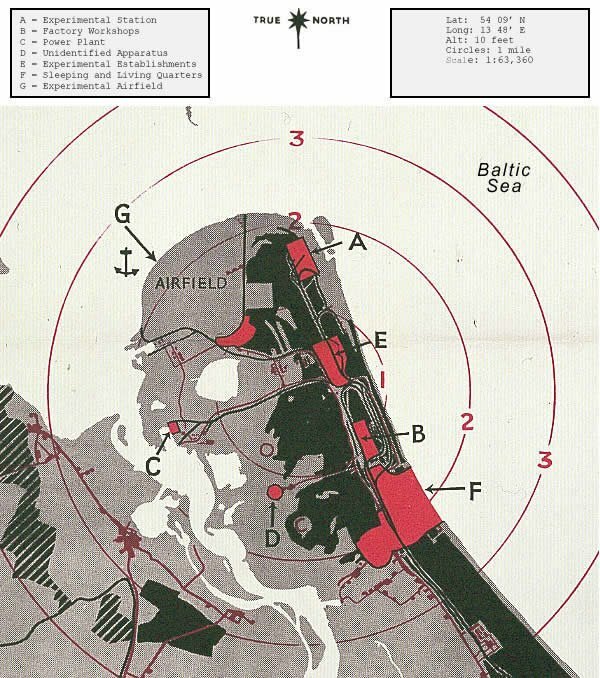 The primary objective of the Operation “Hydra” raid was to kill as many personnel involved in the V-weapons programs as possible, so the housing area was the main aim point. Two lesser objectives were to destroy as much of the V-weapons related work and documentation as possible, and to render Peenemunde useless as a research facility. On the evening of 17/18 August 1943, with the backdrop of a full moon, Bomber Command launched 596 aircraft - 324 Lancasters, 218 Halifaxes, 54 Stirlings -- which dropped nearly 1,800 tons of bombs on Peenemunde; 85 per cent of this tonnage was high-explosive. Area bombing still required accuracy in marking the target. 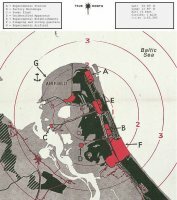 There were other places where pin-point precision was essential, such as the successful attacks on the Mohne and Eder dams, against the battleship Tirpitz and the rocket development facilities at Peenemunde. There were several novel features. This was the first occasion the Bomber Command's Pathfinder Force used the technique where one aircraft controlled the progress of the entire raid while orbiting above the target area. It was the only occasion in the second half of the war when the whole of Bomber Command attempted a precision raid by night on such a small target. For the first time, there was a Master Bomber controlling a full-scale Bomber Command raid. 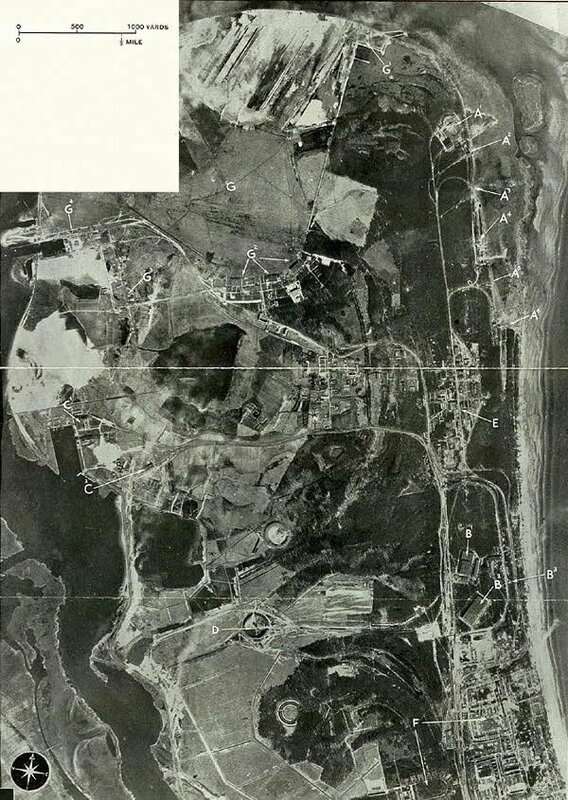 There were three aiming points - the scientists and workers living quarters, the rocket factory and the experimental station - and the Pathfinders employed a special plan with crews designated as shifters, who attempted to move the marking from one part of the target to another as the raid progressed. Unfortunately, the initial marking and bombing fell on a labour camp for forced workers which was situated 1.5 miles south of the first aiming point, but the Master Bomber and the Pathfinders quickly brought the bombing back to the main targets, which were all bombed successfully. Months of combat couldn't steel World War II American GI's for the sights they witnessed when they liberated the Nazi death camp at Nordhausen, Germany, on April 11, 1945. Atrocities perpetrated at V-2 production facilities at Nordhausen and the nearby concentration camp at Dora stimulated controversy that plagued the rocket pioneers who left Germany after the war. Arthur Rudolph, who had been a V-2 project engineer, left the United States in 1984 following the Department of Justice's discovery of his role in the persecution of prisoners at the Nordhausen factory. Wernher von Braun was brought to the United States after the war; he went to work on rocket development for the US at a plant in Fort Bliss, Texas. In a 1948 interview there, a German journalist managed to extract von Braun's understanding of why V-2 production was delayed until it was too late to make a difference in the war. According to von Braun, while in Switzerland in December 1943, a German industrialist boasted of Germany's forthcoming secret weapons, giving enough details so that the Allies were able to bomb the facilities at Peenemunde, delaying development and production of the V-2. Even in 1948 Braun did not understand what had really happened. [THis account is garbled, since Peenemunde was bombed in August 1943]. The German industrialist, whose name was Eduard Schulte, was actually a dedicated anti-Nazi who gave information to the Allies to help shorten the war. Eduard Schulte, the man who first warned the world about the systematic killing of the Jews, fled to Switzerland on 02 December 1943 after being warned by Eduard Waetjen, an associate of Gisevius, that the Gestapo has ordered his arrest. Schulte's wartime activities and his intelligence about V-2 production were brought to light in the 1986 book Breaking the Silence, by Walter Laqueur and Richard Breitman.